Red Dot Foundation (Safecity) was approved to host a UN Habitat’s Urban Thinkers Campus (UTC). Along with its organising partners, Developmatrix and The Urban Vision and knowledge partner, the US Consulate Mumbai, we designed a social incubator for the Youth Design Innovation Challenge. The Youth Design Innovation Challenge, a derivative of the UTC, was a platform for future leaders of the city – the youth to advocate enlightened planning and design of our cities and propose urban solutions. 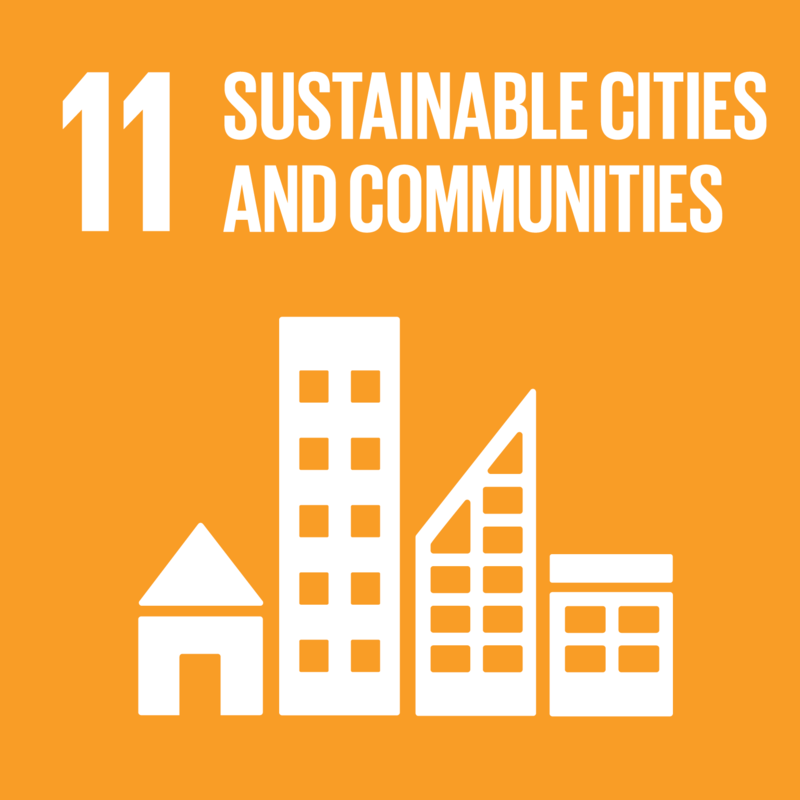 Through the Challenge, we aimed to raise awareness about gender equality (SDG 5) and its intersection with sustainable cities and communities (SDG 11) through sustainable and safe transportation, environment and biodiversity, urban planning and governance and look for hyper-local community based solutions that are innovative and practical. On 13th December 2018, the final pitch of the Youth Innovation Challenge was hosted at Dosti House, U.S. Consulate General Mumbai. It was the culmination of a 4 month long social incubator that began at the Urban Thinkers Campus in June 2018. The event began with an introduction by RDF Founder, ElsaMarie D’Silva who welcomed the finalists and jury members to the final pitch of the Challenge. This was followed by an address from James Fennel, the Cultural Affairs Officer (CAO) at the U.S. Consulate General, Mumbai who spoke about the tremendous pressure cities are facing in terms of environment, finance, jobs and the immediate need for resilience and inclusion. He also made a special mention how the youth teams had come a long way from the time he first addressed them at the beginning of the Challenge. We had esteemed members from different organisations in our jury. We had Ms. Radha Sule from Tata Capital, Ms. Aafreen Sherwani from United Nations Development Programme – UNDP, Mr. Aamer Khan from U.S. Consulate General Mumbai, Ms. Barbara Muller from BMW Foundation Herbert Quandt and Mr. Sameer Rawal from Tata Consultancy Services Open Innovation Centre. Each of the teams had 7 minutes to present their prototypes to the Jury members followed by a quick Question and Answer round with the Jury. From the environmental aspect, ideas were shared on a composter, a fellowship program, and a robot scavenger for waste management. One team also spoke about the app they designed to aid in national disaster management. On the aspect of women’s safety, we had teams present ideas on two apps- one to increase bystander intervention and another to hold perpetrators accountable. On the gender aspect, the teams presented ideas on improving women’s participation in Politics, providing housing for single women in metropolitan cities, advocating gender equality through education and creating gender equal or women-friendly spaces through architectural design. While the jury deliberated on the results, the two teams from Save the Children India addressed gender biases and inequality through their art, dance and rapping skills. Mr. Ameer Khan, from the US Consulate was elated to uncover one of the paintings done by the children. Ibrahim Ansari enraptured the audience with his cool, cutting comments on patriarchal society and how we can all bring about gender equality. It was amazing to see the wealth of ideas that came from the youth of Mumbai. Youth are not just the future of the country but also the present. They passionately care about creating a country that is equitable, sustainable, clean, resilient and inclusive. If you would like to know more about each of the ideas, check out the compilation of the finals on Twitter and their videos on Youtube. A big thank you to all our participants, volunteers, and most importantly our partners for making the first Youth Innovation Challenge successful and memorable - The Urban Vision, School Leaders Network Foundation, BMW Foundation, Swedish Institute and Tata Capital.